21xdesign was invited to contribute an essay about Portuguese mid-century design in Slanted Magazine, the German design publication based in Karlsruhe. Dermot MacCormack’s piece discusses the influence of two mid-century designers, Victor Palla and Sebastião Rodrigues. Although not widely known outside their native Portugal, they were both, nevertheless, important designers who paved the way for the development of a home-grown graphic design aesthetic, that was influenced by the prevailing mid-century movement that coursed throughout Europe at that time. The work of Palla and Rodrigues, is both playful and inventive, and as discussed in the article, was born from a home-grown, can-do attitude. 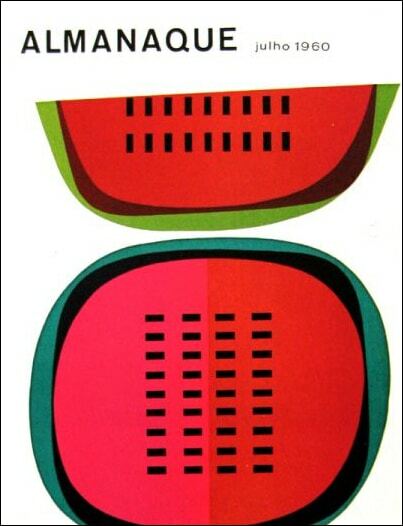 These two designers, mostly self-taught, were early pioneers in development of a unique Portuguese graphic design movement. Although Palla, integrated some illustration into his book cover designs, he really excelled in the integration of typography along with his whimsical illustrations. Rodrigues, on the other hand, relied more heavily on his wonderful illustrations, but he too, was a deft hand when it came to typography, when it was required. Rodrigues’ illustrations for the magazine Almanaque are gorgeous, and Palla’s early work for Editora Arcádia, are remarkable examples in their daring, yet economic use of typography and wood cut illustrations. If you’d like to read the article (and while you’re there, check out the amazing contemporary design scene in Portugal) head over to www.slanted.de/portugal. These publications sell fast (most earlier editions are already sold out) so get ‘em while you can. Sebastião Rodrigues, cover for Almanque, 1960. 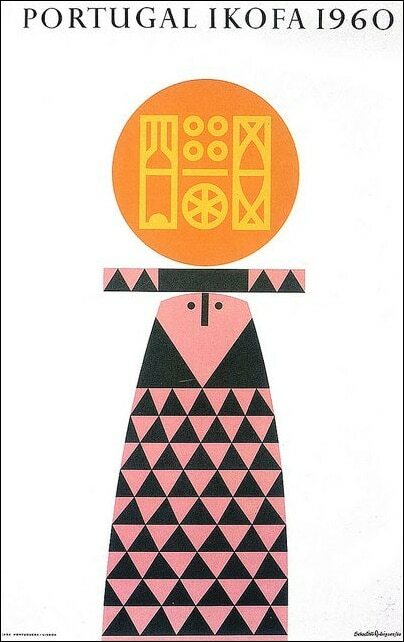 Sebastião Rodrigues, cover for Portugal IKOFA, 1960. 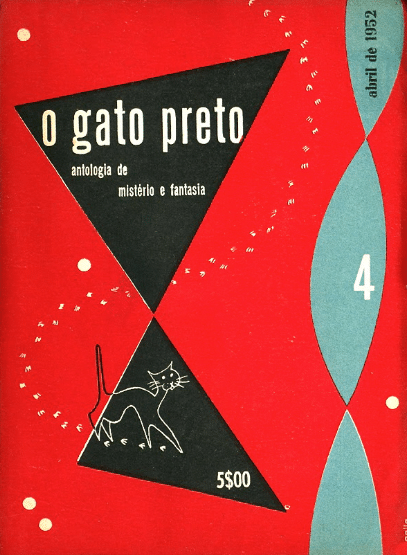 Victor Palla, cover for O Gato Presto [The Black Cat], 1952. 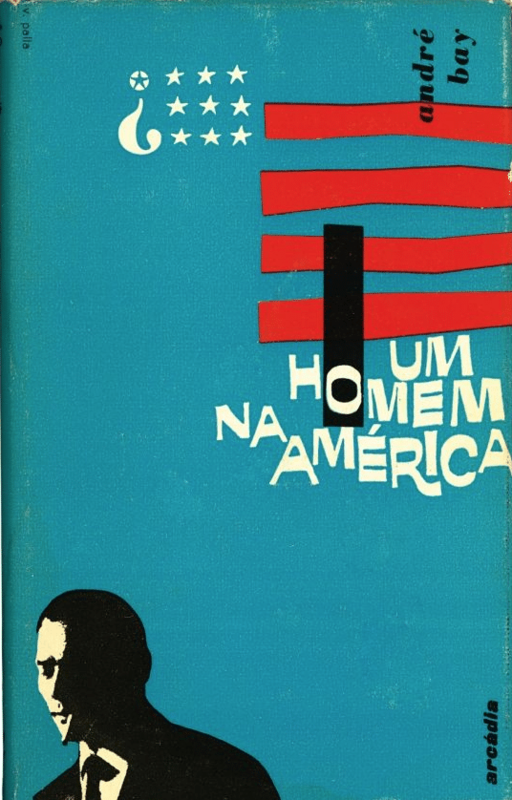 Victor Palla, cover for Un Homem na America [A Man In America], Editora Arcadia, 1959. Thanks Kelly! Yes, he is a cool kitty!